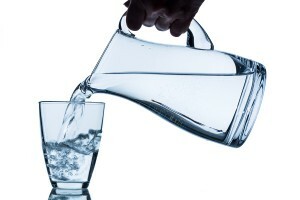 A home water filtration system from RainSoft can improve the quality of problem water in your home. For example, your water may contain naturally occurring metals or volatile organic compounds, or otherwise be affected by the nearby use of fertilizers and pesticides, corrosion in plumbing systems, underground fuel tanks, and minerals picked up by the water as it flows through the earth. Some of the contaminants that can be removed by a home water filtration system are easily identified – perhaps you’ve noticed an odd smell coming from your tap water, or you can see particles floating in it, or you notice stains on your laundry as you take it out of the washer. However, not all water quality issues are so readily apparent. Therefore, the best way to evaluate the content of your water is to have it tested by a knowledgeable professional. And for this, you can rely on the experts at RainSoft. An industry leader, RainSoft has been taking the worry out of water since 1953. One of our local, highly trained, and experienced water treatment professionals will be pleased to discuss problem water with you and assess your water treatment needs through a complimentary, in-home analysis. Then, if necessary, we’ll recommend an appropriate home water filtration system to meet your needs. To learn more, please contact an authorized RainSoft dealer near you. A leading manufacturer of water treatment systems since 1953, RainSoft is committed to delivering the finest water treatment solutions, including home water filtration systems, backed by world-class customer service and a Limited Lifetime Warranty. We can also discuss the benefits of a reverse osmosis water purification system, an air purification system, and a water softener and conditioner system as well.